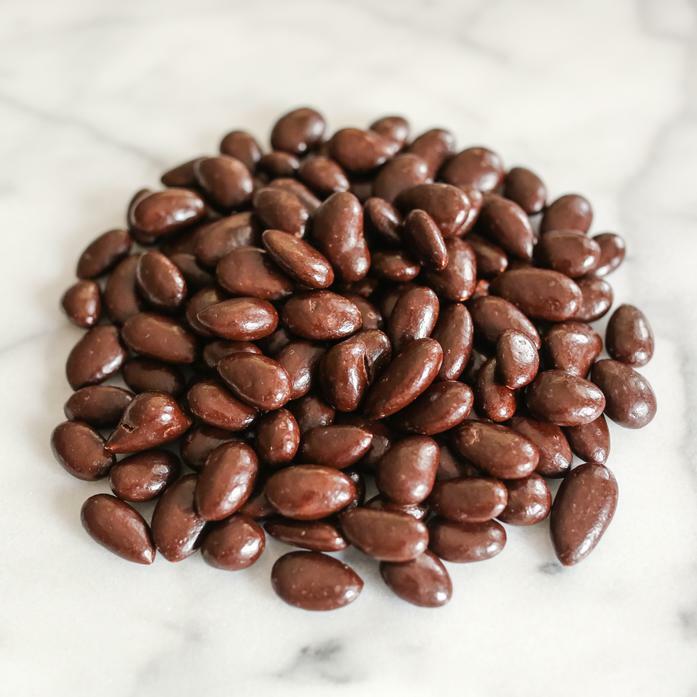 These organic dark chocolate covered almonds are the perfect delicious, but not too unhealthy snack. Tierra Farm is an organic roaster and manufacturer of nuts and dried fruit based just south of Albany. Tierra Farm carefully cultivates its relationships with the best organic nut and fruit farms across the world, selecting only those with the highest standards of sustainability and quality. These chocolate covered almonds are packed in a peanut-free facility and are non-GMO, gluten-free, and kosher.